Venture out of the city with trips to Natural Bridge Caverns (in San Antonio) and Fredericksburg (Charles Beckendorf Gallery & National Museum of the Pacific War). 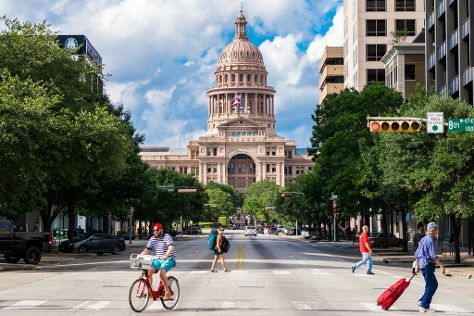 And it doesn't end there: admire the landmark architecture of Texas State Capitol, have some family-friendly fun at The Escape Game Austin, take an in-depth tour of Bullock Texas State History Museum, and hike along Lady Bird Lake Hike-and-Bike Trail. To find photos, more things to do, other places to visit, and more tourist information, read Austin trip itinerary maker site . November in Austin sees daily highs of 71°F and lows of 52°F at night. Finish your sightseeing early on the 24th (Sat) so you can travel back home.